"Most comprehensive SEO tool I've used"
I like the competition analysis tools, it provides paid and organic data, which gives me an idea on how to catch up and outrank the immediate competition for my clients. It also provides data for the potential traffic, which helps show clients the potential gains of the campaign. And with the marketing plan, I know what needs to be improved in order to get results for my clients. The fact that when adding a website, sometimes I have to wait a lot to get data for that site, since I have the every-3-day data plan. I understand the limits of my plan and the platform, but it would be nice to have the data intervals independent for each website, counting from the moment the site is added to the platform. This would be especially useful for quickly getting back to prospects with current data and deeper estimates for their sites. The sheer amount of tools might seem overwhelming at first, so make sure to check out their guides and platform on-boarding tour to get you started and getting the most out of the platform. I can quickly get an idea of a certain industry and get a feeling of the competitive landscape to know what it would take to get results for a particular site. I can also see the results of my campaigns and help take action on the items I need to improve for my client in an on and off site basis. The report builder tool automates the reports on the metrics that matter most, and the user access gives my teams and clients collaborative access to the tool with granular permission settings. "Perfect fit for our marketing agency"
There are many ranking tools on the market. After trying a lot (10+ years of experience) SE ranking stands out on top of others because it combines everthing we need for our clients. We do only provide the client with rankings, but also with the potential traffic (and revenue) of those ranking when they hit top 3 in Google. The tool let us provide the client with in depth analysis of the technical stuff ánd a marketing plan tool, so we can set goals and follow a checklist of monthly activities. And to top it all off it's fully whitelabel. A perfect fit for our marketing agency. We totally create an environment for clients where they can log in and see there rankings, traffic, marketing goals, marketing plans and our updates. Since we use this tool, it's a mandatory tool so we can be sure clients see the results of our efforts. "Easy to Use, Scalable and Robust SEO Platform"
SE Ranking shows our real rankings in different locations - it's quiet important as we sell our services across the globe. Other tools due to the low data volume couldn't cope with this task. Also, I love their website audit - it's comprehensive, shows how many errors our website has and how to get rid of them. The platform works smoothly but it would be great to get some regular info (tips) on how to use different tools or more in-depth webinars. I feel I might miss any valuable tools or features as I simply don't know about their availability. I recommend to start from demo - thus you will quickly find out all their features and get some tips how to use them with the most value. The guys from SE Ranking's support are very friendly and know their job. The niche of career services is not stable - you have to keep an eye on your competitors, analyze their strategies and adjust your marketing and SEO activities accordingly. ES Ranking helps us to cope with this task efficiently. "One of the best SEO tools available." We have used a lot of tools out there over the many many years in business and I can safely say that this is one of the best available. Any time we have had an issue (mostly user) the guys have been a keystroke away. Plus with their API it gives us so much more features to offer our clients it is amazing.. Don't waste any more time trying to decide on another service provider. Just get your trial and order you will be happy. Emojis, People who do not believe in Climate Change, but with SE Ranking actually cant find anything that I dislike. Get the trial you will not be disappointed. But invest the time in it, if you dont like all relationships it will not work! One central location for critical data that is pooled together in a simple effective and highly powerful location. Without SERanking we would have had to use several other tools. This is in one! "Awesome SEO platform for incredible insights"
This platform has everything our digital marketing department may need - tracking rankings, monitoring backlinks, keyword research, competitor analysis, website audit and many more. We have few websites with thousands of keywords - SE Ranking simply checks them all. We would like to have more options for custom reports but they've already promised to do that. I've seen many updates so far so it looks like the platform is developing pretty fast. I would recommend to manage all your SEO tasks on this platform. First, we used it only for rankings check but after we tried website audit and backlink tool, it became easier to track the overall SEO progress. SE Ranking provides us with reports on rankings, website audit, keywords, competitors' SERP strategies, and backlinks monitoring. We are able to perform almost any search engine optimization task on this platform - accurately and efficiently. The friendliness of the employees, moreover, they always offer the right solution. They like to think along, and they also know exactly what I need for a question or problem. It therefore takes me very little effort to get something done at SERanking. Sometimes the speed of responding is a bit slow, and if I need anything at that time, it can be annoying. In addition, I think the prices may be a bit lower, sometimes I don't need many projects, but I do need a lot of keywords. Then that distribution is a bit strange, perhaps it should be made possible to put together packages yourself, also for small businesses. So i can choose by myself how much keywords and so. Great program that every SEO company needs. You can really find everything here. Simply add a new customer to the system, view which positions they have, perform a nice website audit, everything is possible and I also like to use it! It is really a complete package. With this program I can also see very quickly and easily, for example with a potential new customer, what his or her positions are. I can also immediately say where the negatives are in the website, and where we can therefore improve. This is often a good argument for attracting a customer, and not entirely untrue of course, because you certainly have something to offer. With this program you can really help customers! "The best affordable SEO solution available"
I like the whole experience of useing SE Ranking, I am really pleased that support is available, There has been some questions that support have helped me with straight away. and I really love the Lead generator its proved very useful. Its technical really and I am sure that it will be addressed at some future update. I use database driven websites like wordpress etc and some of the Wordpress inner workings give some false possitives for SEO not just SE Ranking but most SEO does not take in to consideratino some aspects that I as a wordpress user have co control over. Ihave discussed this with support and I am pleased to say I am getting lessnegative penalties in my SEO audit so well done SE Ranking. Easy, Great Support, Great Tools, and an excellent starting point. and I believe SE Ranking can only go froms trength to strength with more features. Basic ranking and and my keywords have been the priority for me with SE Ranking and I do need to do more with the software but as a small business person time is the luxury i dont often have available. "Essential tool while starting out"
Tools seem fragmented. This can help sometimes if your not working on a particular project but can be hard if your using several tools for one domain. It's an improving tool and multiple pricing plans really help when starting out. There are a bunch of tools that can really help you but you got to be willing to pull your sleeves up. Although it isn't as overwhelming as an Ahrefs it also doesn't offer as much in the way of tutorials. For example the ability to be able to rank your competitors directly alongside you is a brilliant way to measure performance and weaknesses to you and competitors. Also to see a median average of last months serps can help you spot those moving up and down the rankings over time and give you good insights in to the way Google is leaning. Multiple user accounts mean more repeat business potential for those that don't want to lose tools. "Great alternative to agency services"
SE Ranking is an unique platform that offers few dozens of SEO tools. These products allowed me to stop using expensive agency services and start tracking website rankings myself. What I can say – WOW! That's easy and accurate – especially I love their marketing plan that gives a bunch of digital marketing tips in one place. I've found so many stuff I can do to improve website positions. As a new user, I spent some time to find out how all the tools work but their interface is very user-friendly. I am still in a process of revealing of all their benefits but I definitely enjoy this journey! I would love to get more education materials. Test it before purchasing - they give 2 weeks trial that is definitely enough to check out how they work. Also, make sure you use all the tools they have – I had found a great backlink management tool to monitor all active links. Well, I paid for that before to an agency..
Increasing search rankings and dealing with my site digital routine. SE Ranking's website audit found a lot of specific errors on the website so I will definitely solve them. Also, I love I can use everything I need on one platform - that's so comfortable for me! I know where my site is, and don't pay for a basic info to the agency. "High-grade but pocket-friendly SEO platform "
* The most accurate automatic rank tracker that we've worked with. Keeps the cached copies of the positions for an extra check. * Huge competition research module with every imaginable feature in: domain analysis, keyword analysis and research, ads history, analysis per page... Great! * Website audit - rigorous but totally adjustable to a user's needs. It takes a while for the service to process the massive data (websites with over 50k+ pages, 2k+ keywords, 30k+ backlinks, etc.). However, the data, in large part, are accurate. The platform has the best ratio of price and quality in the market. So I'd recommend to at least ask for a demo tour to check the magic of the service. Having lots of projects to manage at the same time, we can do most of the SEO tasks with SE Ranking: search positions tracking, keeping an eye on competitors, monitoring websites' technical condition, etc. Possibility to create sub-users and share the data with colleagues is especially appreciated for teamwork. "The Tool Every Agency Should Use"
SE Ranking has everything we were looking for - ranking checker, website audit, backlink tool.. We've managed to try how these tools work, and that surprised us! Rankings are very accurate and updated regurarly, and the website audit helped us to provide clear reports for our clients! As far as we've switched to this tool few months ago, I haven't found any errors. I just can imagine that we are not using all the features as for now but it's our plan for next months. SE Ranking has definitely good value to offer! SE Ranking provides our agency everything we were looking for - rankings checker, reports, accurate audit and backlink checker. That allows us to monitor every client progress and keep an eye on all site we are managing. We use ES Ranking to track our client website positions, to monitor their backlinks and their parameters. Also, it's a great tool to provide the reports with website audit. All the reports look very professional as we can add our own logo their. I love that I have all the necessary tools for marketer at hand. We use Position tracking and keyword research tool for a long time, and some tools just discovered. Like Competitor SEO/PPC research. Being able to see which keywords are driving to your competitors domain is really valuable for our business. We now always track their ads, check organic and paid keywords. There were too many email reports from SE Ranking. Although I found the way to switch them already. Check their tools for competitor analysis. There is new one - top 100 analysis. You can see which websites are in the top 100 for each of your search query in any search engine that you track in the project. And you can compare it for different dates and see how the rankings changed. Really nice feature for the SERP analysis. We use SE Ranking for all kind of SEO and marketing tasks. It's affordable and feature-rich. "SE Ranking - an Awesome SEO tool"
no issues at the moment, the platform is stable and not much problems. Whitelabel is not setup standard for resellers. I can have prospecting calls and appointments where i can show directly what problems to solve. My leads are impressed by the professional look of the report and impact these changes have when solved. When clients want a more detailed insight into their own website, you can provide direct access to their account. For landingpages or any other page the tool offers a onpage scan, which will help you to improve succes on any search engine. "SE Ranking excellent SEO Agency tool"
We switched to SE Ranking which is awesome in feature set, value, accuracy of research data and price. It is easy to use, the UI makes sense, and the Research is second to none. It could do with easier report creation templates with preview of data so the creator can see a sample set of data before saving or changing the report and that's about the only thing we dislike. The report are great, it's just the way they are created. I would definitely recommend SE Ranking. We tried a lot of other products and we took about 4 months of testing and verifying accuracy of data before we decided on SE Ranking. Some other products were great but for us, they were overkill and complex learning curve. I think SE Ranking has got a great balance of product, price, features and usability. We have streamlined our reporting process to our clients and updating them as we improve their rankings and identify more keyword opportunities. It's allowed us to provide a better service overall. "Лучшая моя практика анализа любого сайта." Наибольшее удовольствие мне приносит анализ страниц и всего сайта. Сразу видно над чем надо поработать. При небольшой плате можно делать кучу анализов своего сайта и сайтов конкурентов, что очень помогает в продвижении сайта. Еще очень хорошо, что есть обучающие материалы, а также планы по быстрому продвижению. Можно делать отчеты и посылать их всем заинтересованным. А еще можно вести несколько проектов и зарабатывать на этом. Классная штучка в том, что можно анализировать бэклинки и понимать какие из них выгоднее. Кроме того можно кластеризировать запросы. Мне нравится, что показываются все ошибки которые есть на сайте, но не нравится, что не объясняется как их убрать. Хотелось бы, чтобы подсказывали способы устранения ошибок, хотя бы намекали теоретически, что нужно сделать. Но в основном все классно и качественно. В остальном техническая поддержка на высшем уровне, и что самое главное быстрый отклик. Очень хороший сервис и отличная компания. Хочется пожелать таким людям дальнейшего процветания! Этот инструмент можно выбрать для любого бюджета и в SEO для любых целей. Можно проанализировать конкурентов, и узнать, что нужно сделать для успеха. Также хорошо подбираются ключевые слова и запросы. Благодаря этому, стали писать более оптимизированные статьи, что повлияло на посещаемость и продвигаемость сайта. Выполняя план по продвижению сайта, исполняя все предписания и устраняя ошибки - сайт неуклонно поднимается к ТОПу. Кроме всего прочего улучшается качество сайта. Ведь когда знаешь куда двигаться, и если видишь, что все получается - то очень интересно работать с сайтом и улучшать его. I like the SE Ranking because for Google SERP tracking I can choose any region. This is very important for projects for which I do Local SEO. I really like the fact that I can configure access to projects. When working with clients it is very important. I also like the fact that the SE Ranking analyzes the entire Google SERP, not just the organic results. Using SE Ranking I also tracking Google AdWords and Featured Snippets. I like the fact that I can create one project and set many regions for the site. I do not need to create a separate project for each region. I like the fact that I can set the 'search range' in the Google SERP. But the maximum value is '100' (TOP-100). In my work, it is important to analyze the TOP-200. I like the fact that I can specify a 'check frequency'. But I can choose only one of the suggested values: 'Daily', 'Once in 3 days', 'Weekly', 'Monthly', 'Manual'. I can not select specific days. It so happens that I need to check the position of the site on Monday and Friday. I have to use the 'Manual' method, but this is not convenient. I like the SE Ranking that I can get reports by e-mail. Now I get reports once a week. This is convenient. But it would be even better if I could receive reports not once a week, but 2 times a week (on Monday and Friday). 2. The service is available a lot of regions for Google SERP Tracking. This is very important if you are doing local SEO. I use the service for different tasks: 1) Position tracking (SERP tracking); 2) Technical SEO Audit. "My Go-to SEO Tool for our web agency"
Having used SE Ranking since April 2018 it had proved an invaluable tool towards generating client Site Audits along with tracking all aspects of SEO related issues. Add to this an online chat Customer Support which is concise and knowledgable of the product they support makes this our only "go to" source for our SEO consultancy. The most complete SEO Management Tool you will ever encounter. Huge time saver! Mainly helping our clients improve their ongoing site issues which in most cases has been inherited from previous consultancies. With SE Ranking we are able to track the improvements on a timely basis and provide customised reports to our clients which are valuable towards the management of a concise strategy. "SE Ranking is an Excellent SEO Management platform in super reasonable pricing"
SE Ranking offers almost all of the tools that a specialized SEO manager would need, not only in very reasonable prices, but also in flexible pricing system that enables you to tailor a plan based on your needs that differ according your business volume. Se Ranking is digital marketers' oriented, and when using it you feel like it is your online assistant lending a hand in managing your SEO campaigns whether via the plan checklist or the wide range of tools that makes my life easier. The white label option is very affordable yet powerful and has helped me in acquiring many big clients because when they see your logo on the platform this gives more confidence. I have once noticed that there is a variation in the ranking information between SE Ranking results and the actual SERP so I emailed the support to ask them about this and I got a very quick (same day) reply explaining the mistake I have done and led to this variation and this was very helpful. Very nice website audit and other tools, including the promising competitors research tool. Many other good points, but these are what I could think of now. 4- adding the option to schedule on instagram! The facilitating of SEO management, whether on the lead generation level, or afterwards in the process. Also scheduling social media posts and managing back links exploring and reporting. Creating scheduled reports and giving access to customers to see work progress by logging in and seeing specific parts of the platform. I have been lost for almost one year jumping from one platform to another, and while I do admit that there were other very good platforms, but they were very expensive for me. Almost everything I need to assess and monitor the websites I manage. The speed at which the keyword rankings update is amazing. Unlike some other SEO ranking services, there are no issues with being blocked by search engines or having to use IP proxy services. I really cannot think of anything I don't like. The product is constantly evolving. Be clear about the numbers of sites, pages, backlinks and keywords that can be monitored on the plan you are considering. Also, the cost quoted is based on daily checking. Every 3 days and weekly are much cheaper, if that meets your needs. My primary purpose is to aid in the keyword ranking of the search terms I'm employing in various websites. The system allows me to keep on refining my selections and content at very reasonable cost. "Excellent tool, Excellent support! " I really appreciate the flexibility of the tool and the people behind it! The white label function is just awesome I can provide a professional panel for my customers with limited features access. After using other competitors in an agency for more than 3 years I have to say I will not move from SE ranking who definitely match my requirement. The lead generation tool works with an iframe who produce w3c errors and is limited with 3 free leads by day who is a bit too limited from my point of view. I centralize my work, I provide nice and clear metrics, I can follow my marketing plan and optimize my time for me and my customers.. They can follow as well the change operated on them pages and how this affect on the ranking. It's an amazing all in one tool that I will work with for long terms. "SE Ranking is a robust and excellent SEO suite loaded with insight"
I have been using SE Ranking for 4 months when I signed up via AppSumo. -I love the holistic dashboards that provide exactly what I need to know in a user-friendly interface. -Whether I want to take a look at my competition's keywords, pull in Google Analytics data or refresh my own keywords, it's well organized and simple to navigate to find what I'm looking for. -I'm monitoring multiple search engines easily and can quickly see how keywords are doing thanks to the handy graphs. For my purposes, I don't think there are many (if any) features any of the far more expensive SEO platforms have that SE Ranking does not. HIghly recommended. I wish I could extract more than 1,000 competitive keywords. But for the reasonable cost I paid initially, it still provides an amazing amount of value when stacked up against the competition. The export is a little clunky. It's hard to evaluate keyword performance month over month without some manual customization. That being said, overall it's a wonderful tool! I got a deal on AppSumo that included 250 keywords updated every 3 days for just $99 - which is an INCREDIBLE price. 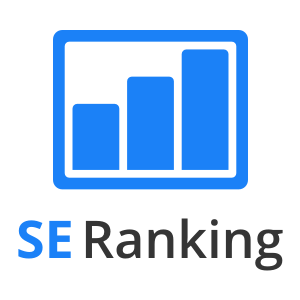 If you have a small business or are just getting your feet wet with SEO but want some cool bells and whistles, definitely give SE Ranking a shot. It's the same as the more well known names but at a fraction of the price. I am growing our SEO strategy from local to national - and so far it's working! I recently upgraded to get more keywords and use SE Ranking to continuously improve. Michael - thank you very much for the high ratings and an awesome review. This means a world to us! "Super easy and a great tool"
I have been using SE Ranking for a little over a year. It has been a wonderful tool to see where my key words rank, and also audit my site to see what things I need to fix. I am probably not using it to the extent it can be utilized, but it is perfect for my current needs. After going through this evaluation I realize I need to look more into what all it offers. SO far I am happy with everything. The one thing I would like to see a change in is where the keyword tool is. I feel it is placed in a strange place, and not as intuitive to find. My main focus of course is where I rank and how I can pull my site higher. "SE Rankings is comprehensive and easy to use SEO platform"
First of all I want to note the interface – it’s really convenient and perspicuous, even if you start to use some of the new features, there is no necessity to look in the FAQ section + it’s also possible to customize the platform interface – I've never seen nothing similar in the competing solutions (although, I might have spent less time for working with them than with SE Ranking). As for the accuracy of the data in this module, there are also no claims, I re-check some of the rankings manually from time to time, everything is the same in most cases. In addition to keywords ranking, I use the platform for competitors' backlinks analysis and comparing the results of SE Ranking with Serpstat and Ahrefs data. The data of SE Ranking and Serpstat coincide totally, since it seems that they use the same Majestic database (read about it in one of the blog posts). Yes Ahrefs presents more data, although often these links, like in Serpstat, and SE Ranking, are irrelevant for the moment of checking. Well, looks like none of the services did not come up with an instrument that presents backlinking data with 100% accuracy. What would I like to add or change? I don’t even know. Despite my scrupulousness and the desire to always use the best product, there is nothing that I would not be happy with. Well, it might be nice to add the opportunity to analyze more than 5 main competitors or would not prevent the possibility of analyzing the same backlinks of competitors with the help of the popular Checktrust right in the service. I can not but note very flexible payment options. None of the competitors can not boast of this. Taking into account the featured-rich platform, the pricing is very flexible, which is undoubtedly convenient, primarily for small projects. Using Ahrefs for at least $100 per month, you can face the problem, that most of the features are not needed. Serpstat’s basic plan starts from $69, and you can get the same functionality at SE Ranking but for less money. But only if you do not generate hundreds of reports every day. And the support is also quite good and reacts quickly. If not taking into account one case with my not really significant issue - hey were solving it about a month. But that wasn’t the most important question. Since the functionality of the platform is very rich, if writing about everything, what I use and what I like, I’ll get a whole treatise. Currently, I use most of the tools. "Great platform with a great feature set for Competitor analysis"
The interface, especially the recent update and feature organization are clear. I love the SE Ranking support - they are fast and really helpful. And of course all the tools, that help me to monitor the competitors. It would be great to have more learning materials on the new features, like video course or some kind of a knowledge base. This is a powerful tool for your digital marketing. Following the PPC campaigns of your competitors, see their positions on the certain keywords in organic and paid results, following all the changes they made with the help of Web Monitor – all of this is available at SE Ranking for the reasonable price. So if you want to get ahead of your competitors try this service. As I mentioned, I mostly use it for my competitor investigation to make my PPC campaigns even more successful. BTW, they really hear their customers and improve the service based on the feedback. "Most complete SEO tracking and reporting tool of 2018!" I'm am so impressed with this software, tried many SEO platforms and applications before but they always lacked something, if they had amazing bacllink tracking they didn't have reports, if they had reports, if they had reports they didn't have website audit, but SEranking has EVERYTHING you need to keep clients informed and happy! so many extra tools like keyword suggestions and competitor compare, keyword grouping, Google analytics and search console integrated, amazing design, accessible from mobile and desktop, oh man the list never ends, thank you so much for the affordable price as well, it's simply the best tool for SEO! can't think of absolutely anything that I disliked or need, it has everything I ever needed, all in one SEO software! keeping clients up to date without wasting time doing reports myself, getting myself notified when something needs improvement, and making my SEO hobby into a proper business! "Why I picked SE Ranking"
As someone just starting out in the SEO world, I needed a service I could learn quickly, provide me with the horsepower to meet my clients needs at a reasonable price. Ahrefs was way more than I needed and just too expensive. Seomater just did not work properly. Love the White Label function as I've won two bid proposals in first week using so It's paid for itself already. Dislike is the wrong word. I love video learning libraries instead of reading articles and would be nice addition. Do at least 3 free trials, one with SE Ranking and 2 with competitors as you need a few days for a good test drive. "SE Ranking is amazing for tracking and researching your website and competitors"
The Competitor SEO/PPC research tool is hands-down my favorite part of SE Ranking. Seeing a timeline of a competitors organic keyword trends helps me to decide on investigating their backlink profile, on-site content and overall strategy. I've found it particularly helpful to find websites that have grown from 0 organic keywords to thousands within the span of a year. The keyword tracking tool is highly customizable and for someone who is constantly checking my keywords, the ability to instantly refresh a group of keywords to check positions is very valuable. I also appreciate how you can target specific cities or regions in Google and that Bing, Yahoo, and other search engines can be tracked too. The mobile app needs to be updated. I don't use it so much due to its limited functionality. I do wish the website was more responsive. However, these are small gripes and I have no issues when using SE Ranking on my laptop. Give the free trial account a shot. You have nothing to lose. I came across SE Ranking after demoing several competitor tools. Some of them from well-established industry players. None of them came close to the value and satisfaction I got with using SE Ranking. SE Ranking helps me target competitors of my clients. Getting useful information such as a competitor's backlink profile and online visibility is crucial in developing a strategy to have my clients' websites perform on par or above the competition. I also find it to be a great tool to perform my own case studies and tests. I actually enjoy trying to pick apart Google's algorithm and see the effect that a certain test may have. Having this information allows me to create informative blog posts on SEO. "The best for everyday positions tracking"
I can definitely say that SEranking is the best tool that I use every day in my internet-marketing practice. It helps to check positions, make website audit, and get insights of your marketing strategy. I only name a few advantages and it’s a short list of what SEranking can do because the tool is really powerful. Thanks to the perfect support, any problems with the tool are solved online in the shortest timespan. I highly recommend SEranking for beginners and professionals in internet marketing. It will help you to increase your results and bring them to the top level. SEO, position tracking, website audit, clustering of keywords, analytics, planning. We have been focusing on the website audit. It has been really useful for us as it has helped us clean up our site and optimise it, we still have some work to do but we have increase the score of our website rapidly. We also use the keyword tracking which is really useful as we can see all in one place whats happening to our keyword rankings. There isn't much customisation on the reports but this is something that we dont really use. There are a few things like the servers may be located in countries which are forbidden by the sites of your backlinks, so some information is not 100% correct, but aside from this there aren't many faults with this service that we have come across. Trying to increase keyword rankings and the performance/optimisation of our website. "An excellent combination of all the necessary tools on one platform"
This is for sure one of the best all-in-one SEO software that you can discover. It covers a lot of SEO tasks and doesn't have much weak points for us. There are also plenty of so called hidden features, that you probably will not find yourself, but there is always an opportunity to have a live demo. We, for example, started using SEO potential after such demonstration. A feature which helps you predicting your rankings. That's a cool tool in case you are trying to forecast your SEO costs. At first, SE Ranking was not that initiative for us. It took some time to fall in love with this platform. 100% worth trying out for every business. And the price is reasonable. We use SE Ranking for tracking website positions, SEO audit, tracking changes on the current pages, as well as for launching new website pages: collecting keywords with their suggestion tool, keyword grouping. Also great features for competitor analysis - from backlinks exploring to analyzing PPC campaigns. I love that SE Ranking has everything I need to start the search engine optimisation journey. Website audit, keywords suggestion, competitors research and tracking my website positions. Well, as for newcomer in SEO and a startup guy it's more than enough. Also, I am going through its marketing plan key points and do all the tasks one by one. What I can say as for now, It's systematical and full of marketing wisdom. I would love to get more guides on how to use SE Ranking tools to the fullest - I've already watched their YouTube videos, read all the FAQs but it's not enough as for me. Nevertheless, they have a lot of useful info in their latest blog posts. I highly recommend to use this platform from a demo - their support team guys do an awesome job and answer all your questions (believe me, I had a bunch of them). The platform is full of hidden features so make sure to use each one of SE Ranking tools. SE Ranking is my SEO Yoda as it's the first platform I use to discover the search engine world. We've launched a startup this year so it's very important to do everything properly - create a solid website structure, use the right keywords, keep an eye on our competitors and boost the rankings to the top. I learn a lot from using this platform and hope to see the first results very soon. "Perfect even for the less expert"
I am not an SEO expert but I have found the reports I can get from SERanking extremely useful. They provide me with invaluable information that allows me to identify what I need to do to optimize my sites very quickly. I like as well to see the effect of the work we do as a result on the ranking of the key words selected. It has changed the way I maintain my sites. its great to see the 4xx error pages straight away as it is so hard to keep track of all the changes you make to a website and the internal links when you are optimizing content and url structure for example. "SE Ranking is Intuitive, User Friendly and Works Great"
I have in the past used various SEO tools, probably not appropriate to name them here. But for so many reasons I stumble on SE Ranking on an Appsumo deal. At first you for the price I thought oh this is another one of those deals offering the world, but the last few months I have put it to work, it has been robust, intuitive and gathers and collates real-time data. Which is very important in the SEO world. For the past few months I have been using aggressively I find it very useful for what I need it for. I will recommend as its very intuitive and user-friendly. I did use SE Ranking spuriously at the beginning as I still had an active subscription with it other competitors but over the last few months has been my go-to research tool for competitor analysis, keyword suggestion tool though I have to pay a little extra for that. Also now form a great part of my Local SEO strategy. Overall, i am using more than before. We bought this solution just for SEO. After the first attempt, we understood it is a great tool for digital marketing. It makes website audit, tracks keywords’ rankings , backlinks, and offers the full-scale SEO functionality. But it also helps to analyze competitors, which is a very pleasant addition to the main function. We get more than we expected. It would be great to export the information in .xls\.xlsx. We work with Excel tables and Google tables. Try free account before buying the subscription. Working with international customers, we have to evaluate our competitors and keep our eyes open to stay alive in business. SE Ranking can definitely help you with that you and give some additional push for moving ahead. "Making your (and your competitors) positions painfully clear"
I think it's awesome you can see not only your own organic positions, but also the positions of your main competitors. This keeps you on your tows, and makes it clear which keywords require additional work. Also, the function to check the ads of competitors is very useful. Sometimes you get some inspiration of their (bad) adds. When using the backlink tool, you can get inspired by the backlinks your competitors use. This simplifies linkbuilding. I dislike the fact that the amount of keywords is limited if you've paid a flat rate for an account. Determine the amount of keywords you need before buying a flat rate account. If you're looking at a subscription this does not apply, you can upgrade down the line. SE-Ranking enabled me to see our own organic results. This also makes it possible to determine which of the keywords require more work than others. Also, it's possible to demand a cake when the organic positions are positive. "Light on the budget, BIG on the data"
The $84 annual plan is perfect for bloggers and small site owners if they want a cost-efficient SEO tool that will help them get acquainted with SEO and its learning curve. SE Ranking helps make sense of your SEO efforts by tracking your organic search ranking for your target keywords. It also has a robust database to help you conduct competitor research and keyword research to help you develop your SEO campaign. As mentioned above, it's arguably the best SEO tool for its price. It's cheap enough for small site owners and bloggers to develop and implement an SEO campaign to give them a competitive edge in their industry. The best SEO tools are expensive while the cheap ones don't offer enough juice. SE Ranking strikes the perfect balance between cost and usefulness. More importantly, the tool continues to improve by increasing its database and improving its features. I cannot recommend this tool enough for bloggers or site owners who want to get their feet wet in SEO but don't have the funds to buy the best ools. "One of the best SEO keyword ranking software I have used"
The best feature of SE ranking software is the accuracy of the local SEO keyword rankings. I also like the powerful reporting feature and that I can recheck keywords live again. This is the best feature rich SEO software I have used so far to check keyword rankings. The one thing I dislike is there is no easy custom date selection option when I pull the report. The options available is 6 days, current month and previous month. I would love to select individual days for example first date I started using the software and today. So I would be able to compare the growth and improvement in SEO keyword rankings between the days I want. This can be a bit more simpler to select. Maybe implement a start date and an end date with 2 fields where I can select start date and end date. I have tried about 10 different types of paid and free SEO keyword ranking software like MOZ, SEO PowerSuite, Cuterank, AnalyticsSEO etc. and SE ranking is by far my favorite one. I would recommend SE ranking for local SEO keyword position in Google to anybody who wants a quality and accurate product. I can see if our SEO Google keyword rankings is improving so this tell us where we stand with our competitors. There are also other handy features in the software that I use, but I predominantly use SE ranking for keyword ranking. "Comprehensive and easy to use!" The website is self explanatory, no hidden menus or complex processes. Everything that matters is right on the front screen. Especially like the website audit option which quickly points out important errors and warning which need to be addressed. Even their audit is in plain English and easy to understand. Within the past two weeks there were a few updates to their website and some of which caused a remarkable lag (sometimes up to 24 hours) when it came to website audits. This seems to be fixed now and other than that there is nothing negative to report. Setup the right keywords to begin with and if possible! do not change them to see a very accurate gradual development/improvement. It saves me quite some time. I like to see my daily ranking of my 10+ keywords. The website audit saved me quite some headache, was able to fix most of the issues myself without involving any seo/developer. Seranking is so user friendly and creates simple or complicated reports according to your client's understanding. Love the extra tools. Love competitors seo/ppc report. Dig the onpage seo audits. I love that it automatically does a website audit on the site once added. The snippets are also really cool. The SEO potential is cool but I don't really understand it completely. Your competitor research doesn't include South Africa. Also wish I could get more info from Analytics through to my projects. I would love more suggestion on how to improve on my accounts that i have signed up. I think I am bypassing some critical info and probably haven't set it up as well as I could have. Keyword suggestion tool needs to have South Africa and then I can recommend your tool to more South Africans. I also am probably missing something about local SEO. On the website audit it doesn't always pick up my sitemap especially if i use either Yoast or All in One SEO which is annoying. I find being able to view your 5 competitors but then also the top 10 competitors - sometimes my clients top 5 are completely off the mark. "Helps us to grow our organic traffic up to 120%"
Easy to use and friendly UX. After a short exploring I started checking positions of our website without any difficulties. Also I've found a great option for competitor research. It helped me to analyze our main competitors – “spy” on their keywords, that they use for organic and paid search. The disadvantage is that service doesn’t have mobile app yet and the Google Chrome extension – for small checkings it will be more useful than go into a full web version. If you want a SEO service to boost your organic traffic for your small/medium business – SE Ranking will be a great decision. Even if you are not a SEO specialist and want to grow your search traffic by yourself. After we started using SE Ranking, our organic traffic increased by 120%. Of course, that was the result of our work, but SE Ranking tools helped us a lot in achieving this. The main benefit for me is that you can find all the tools that you need to compete with another businesses: search rank checker, website audit and research of competitors’ SEO/PPC activitie (which, by the way helps us to use some competitors methods and improve them to gain more search traffic (“learn from others' mistakes”). "Love the accuracy of the keyword position tracking"
I love the position tracking tool: nice-looking dashboards help analyzing the overall picture. I love that I can track positions for certain cities and the ability to track mobile rankings separately. Another favorite feature is the Competitor SEO/PPC research. I’ve recently started using it for the competitor analysis and that is great. Easy and fast for the competitive tracking. There's not much that I can think of what I don't like about this platform. Maybe the only thing is that it is a bit to complicated use at first. If you are still thinking – go for it. SE Ranking shows an accurate data, and it’s cheaper than the competitive tools like Ahrefs or Semrush. "Best rank tracker for keyword groups"
Google has shifted into topics rather than keywords, SEranker allows me to track the keywords by groups so I can see how topics are performing rather than specific keywords. You can also connect it to analytics and webmaster tools, it's not just a rank tracker, its an overview of your rankings and traffic. Great support also. There is nothing to dislike. For somebody looking for a straightforward rank tracker, this may be slightly heavy duty as it does come with bells and whistles, still, you are not obliged to used them! A rank tracker for users wanting to track topics and keywords within it and pages rather than keywords. I am able to track my rankings as keyword groups and topics. Many tools allow you to group keywords, but not display them and arrange them as groups and see how that overall group is doing. "The most successful analysis of sites on SEO problems"
Most of all I like, and I most often use the analysis of the site for seo-problems. The service gives recommendations and links to pages where there are problems. For internal optimization, this is the most suitable tool. The payment for the service is divided into a subscription according to the tariff, and the balance of the account from which you can purchase an increase in the limits on the tariff. But from the account balance you can not pay the subscription. Our team was looking for a suitable service for a long time. To cost not the fanatical money and was a good assistant in the work on the SEO sites of our customers. All analogues were either significantly more expensive, or were not sufficiently functional. SE Ranking became precisely who will be both functional and inexpensive. Service saves me time. You can connect to it all analytics and monitor the status of the site and the positions in the issuance in one place. "Great functionality and pricing options"
It has given me all the functionality I needed to be able to start out working as an SEO specialist, without being too expensive. It's a fantastic product, easy to use interface and and ever increasing functionality. It can definitely compete with the leading tools, which are much more expensive. It's a great one stop shop for SEO. I would recommend this product 100 percent. It was perfect for me starting out in SEO, as I didn't require every functionality of SEO software yet. And whilst I have been using the product, the development have clearly been working so hard to keep adding more and better functionality. It's now reaching the level where it will be able to compete with MOZ and SEMrush. Until now, I have found this tool invaluable for monitoring organic keyword rankings of websites I'm managing, as well as for competitor research and keyword discovery. I look forward to using their newly launched competition/ppc tool for developing an adwords strategy for my clients. "A fantastic tool that is saving my online marketing"
SE Ranking is a truly complete tool. Improve your SEO and help you strategically improve the performance of your online site. I find it complete, at a reasonable price compared to the most noble, but with ability really on par with them. Nothing to complain. If you want to improve your web marketing strategies, SERanking is the right tool for you. Use it to improve your SEO and, beyond that, it is a complete tool that saves money to your wallet. SE Ranking is helping me to solve some performance problems on the website and, of course, it is making me improve my strategic activity for my SEO onpage and offpage. It has everything I need to optimize my clients' websites. First, I can check rankings of all my projects at one dashboard and get notifications when some of my keywords enter or left the TOP. Second, I can simply share all this info with my customers by creating special accounts for them. By the way, all SE Ranking services and tools are available on own domain without a single link to SE Ranking. It took some time to get into all features but it was definitely worth it. It would be cool to use the Knowledge Base – hope to see it on the site in near future. I run a little digital marketing agency, and SE Ranking is my faithful workhorse especially when we deal with SEO. "Definitely not perfect, BUT great place to start for beginners to SEO and small business owners"
I like that it does a lot of things well and everything comes at a VERY reasonable price. I run a SEO agency, and the white-labeling aspect of SE Ranking makes it an easy choice to keep my clients in the loop. They are able to see the most important aspects of the campaign, like Rankings, Backlinks, Site Audit, Traffic, Competitors, from one dashboard. It isn't the absolute BEST at every category when compared to other more expensive, full fledged software made for specific purposes.. but it really doesn't need to be. My small business clients have access to more than enough information from this tool. It also includes a lead gen function, which I have used to capture leads that already made the tool pay for itself. 1. The UI could use some improvement especially in the menu department. It takes some getting used to, like switching around projects. A lot of functions are behind 'settings' screens, which mean I have to click into a new page to do simple changes. 2. I work with clients in Asia/Singapore. SEranking still doesn't have a keyword database in those areas. That means a significant selling point of the tool is not available for me. Not a deal breaker for me, as I use other tools to cover this, and the remaining value of SEranking is still pretty unbeatable. 3. It can take a little long for some search rankings and search volume data to load. It just means when I add new keywords, I'd have to wait at least a day to see those data. If you are serious in SEO and require all the best data from multiple angles.. this is not for you. You should be spending thousands a month to get those. I spend much more money using other tools as required - in conjunction to SE Ranking. However, if you are the small business owner minding the SEO for your business or if you are a SEO person new to the biz, this is a no brainer. I use it as a basic client dashboard for clients to keep track of some areas of the campaign. I also use its reporting ability to generate some pretty adequate reports. The website audi and backlinks explorer, are also a great ways to add value when doing client prospecting and closing. Being that this tool is in many ways, all-in-one, I also save quite a bit of money I would have spent on other tools. "Best price for small business"
This is the first SEO tool that shows our real rankings on some longtail keywords, especially in the selected locations. Other tools cannot show the ranking because of low data volume. The fact that you have to purchase the more expensive tariff to have more backlinks is a pity. I’d like to stay within $90 yearly plan. So I had to remove some useless backlinks to stay within the limit. Easy to use, convenient, and relatively cheap. Recommended. We well organic peanuts to local manufacturers and need to control our visibility on the Internet. We cannot buy the expensive top solutions, so we were looking for something small, cheap and reliable. SE Ranking works as expected. "SE Ranking is a great complete solution for SEO!" In SE Ranking I like clear and intuitive interface, wide range method of use this platform and of course helpful and fast support! Besides, I am pleased with the speed of work Rank Tracker and Site Auditor tools. A bit unpleasant that some useful tools based on Google's algorithms and Google's search results. I need more information by Yandex Data and Yandex algorithms. If you want track, audit and compare your results in projects with your earlier actions or with your competitors - SE Ranking is your best choice! SE Ranking give me needed analytics information and help me see&audit result of my site-optimisation in organic result in Yandex or Google. In additional, SE Ranking help make fast and detailed reports for Agency clients. * We monitor all SE Ranking reviews to prevent fraudulent reviews and keep review quality high. We do not post reviews by company employees or direct competitors. Validated reviews require the user to submit a screenshot of the product containing their user ID, in order to verify a user is an actual user of the product. Hi there! Are you looking to implement a solution like SE Ranking?